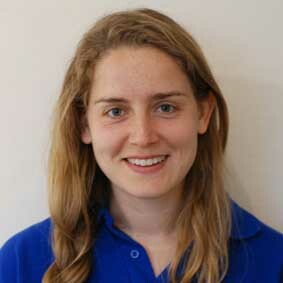 Emily trained at the London School of Sports Massage (now renamed London School of Soft Tissue Therapy) and qualified with a BTEC Level 5 Diploma in Clinical Sports and Remedial Massage Therapy. As an avid sports person Emily has participated in many sports over the years including competing as a youth for Great Britain and Wales in rowing, These days she regularly rock climbs (indoors and out), cycles, runs and surfs. Having had many injuries herself over the years due to both sports and being sat in an office all day, from broken ligaments and bones to nerve problems, she has always looked for alternative treatments and found massage and soft tissue therapy gave her a solution, not just in treating but maintaining a healthy body. She is fully insured and throughout the year she participates in CPD in order to keep her qualification up to date and be able to offer the most suitable treatment possible. She regularly works at events in and around Yorkshire and further afield offering post event massage to help athletes recover. In clinic she sees a complete range of clients from different backgrounds and ages. Treating clients for anything from injury recovery to maintenance massage, gardeners with back strain to children with growing pains, office workers with neck and shoulder tension to professional athletes preparing for events. We will begin the first treatment discussing symptoms, medical history and desired results which will be followed by an assessment to determine what the issues are and the best course of action.